﻿ Hotel Esposizione Roma Rome. JIMAT di Agoda.com! Ada soalan mengenai Hotel Esposizione Roma? Diubahsuai pada tahun 2012, Hotel Esposizione memberi jaminan kepada tetamu penginapan yang menyeronokkan di Rome sama ada untuk perniagaan atau berseronok. Terletak 0.5 km dari keseronokan bandar, hotel 3-bintang ini terletak di lokasi yang sangat baik dan menyediakan akses kepada tarikan terbesar di bandar. Bagi anda yang ingin pergi agak jauh, Via Nazionale, Basilica di San Vitale, Dolce Vita Gallery 35 135 500 merupakan beberapa daya tarikan untuk pelawat. Menawarkan tetamu hotel perkhidmatan yang unggul dan pelbagai kemudahan, Hotel Esposizione komited untuk memastikan penginapan anda berada di tahap seberapa selesa yang mungkin. Pilihan kemudahan kelas atasan seperti Wi-Fi percuma semua bilik, meja depan 24 jam, daftar masuk/daftar keluar ekspres, simpanan bagasi, Wi-Fi di tempat awam boleh dinikmati di hotel. Masuklah ke salah satu dari 41 bilik tetamu kami dan tenangkan hati anda dengan pelbagai kemudahan seperti televisyen skrin rata, cermin, internet wayarles, internet wayarles (percuma), bilik larangan merokok yang boleh didapati di beberapa bilik terpilih. Di samping itu, pihak hotel menawarkan aktiviti rekreasi untuk memastikan anda mempunyai perkara untuk dilakukan sepanjang penginapan anda. Apabila anda mencari penginapan yang selesa dan mudah di Rome, ijadikan Hotel Esposizione sebagai rumah anda seperti berada di rumah sebenar. Very good hotel in the city center. Most of the popular places are in walking distance. Hotel is very clean. Building las very nice. Breakfast is weak. It is good in terms of value for money. We recommend. I enjoyed my time here, internet was fast, the room was clean and the staff was very nice. The location is great too, a walking distance to downtown and still close to the train station. I would stay here again. The hotel rooms are far from sound-proof but as long as you do not get a room too close to the reception then it should be fine. 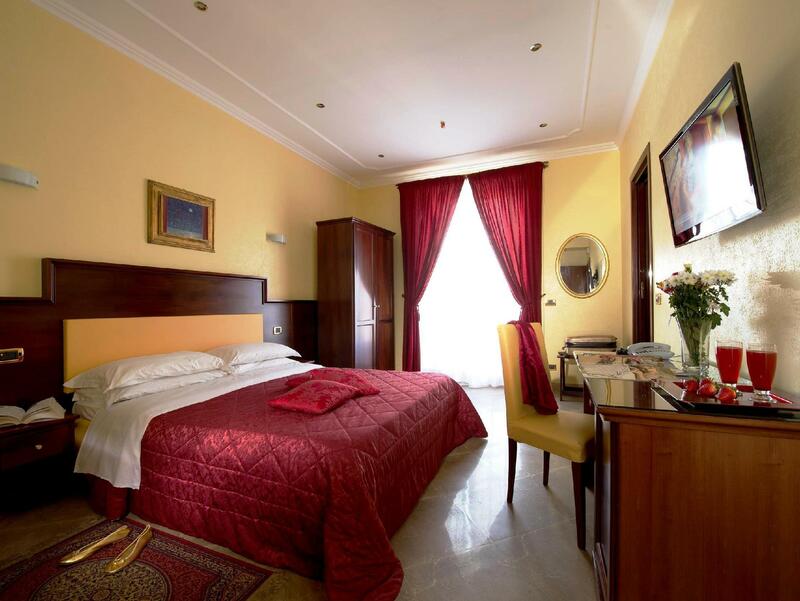 The staff is friendly and helpfull, the hotel is located in an excellent spot (few minutes walk from the Termini train station, lots of the cities main attractions are also in walking distance). 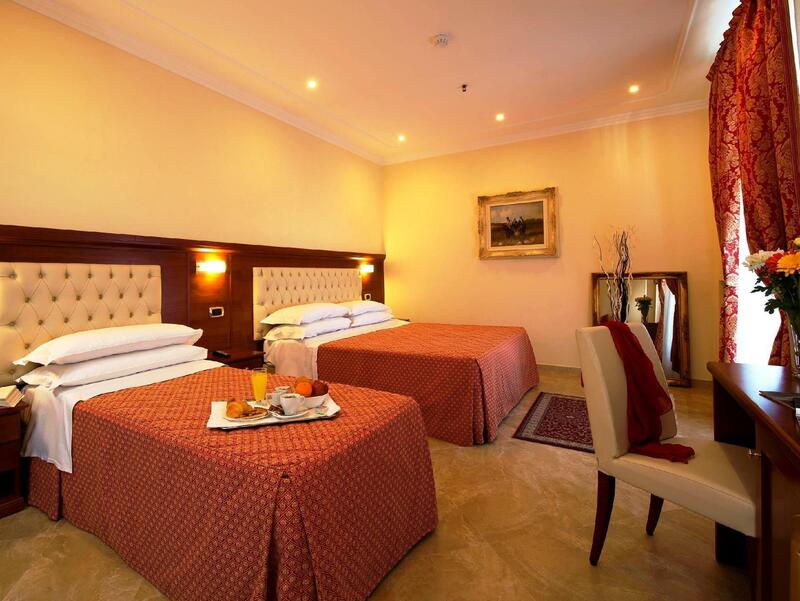 The single rooms are a bit small, but they are clean and adequate for a few nights stay. It is what you can expect from a 2-3 star hotel. it's around 15 mins walk from rome termini. it's close to all the tourist area. staffs were very helpful. credits to arman the receptionist. He helps me a lot in my 3 nights stay there. If I'm coming back to rome I'll stay there again. food wise is easy to get too. lots of nice places and budgeted places to eat too. 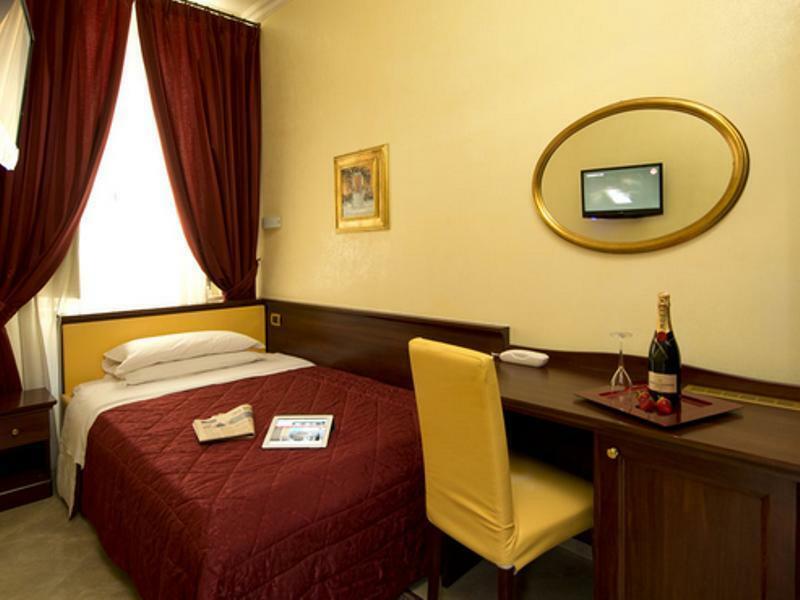 Hotel Esposizione (Although not the easiest to spot at first) is in the perfect location right in the centre of Rome; Walk 10 minutes in one direction and you are at the colosseum, or walk 10 in the other direction and you are at the Trevi Fountain. The hotel is clean and in a nice, easy to access but very secure building. The price is certainly good compared with other hotels in the centre of Rome, my only growl was that I had understood that breakfast was included in the cost of the room.. I was not told until after my second day of eating it that it was in fact 6 euros per person per day. Breakfast is certainly not flash and had I know that I needed to pay this for the single dried up croissant that I ate each day I would not have had it. 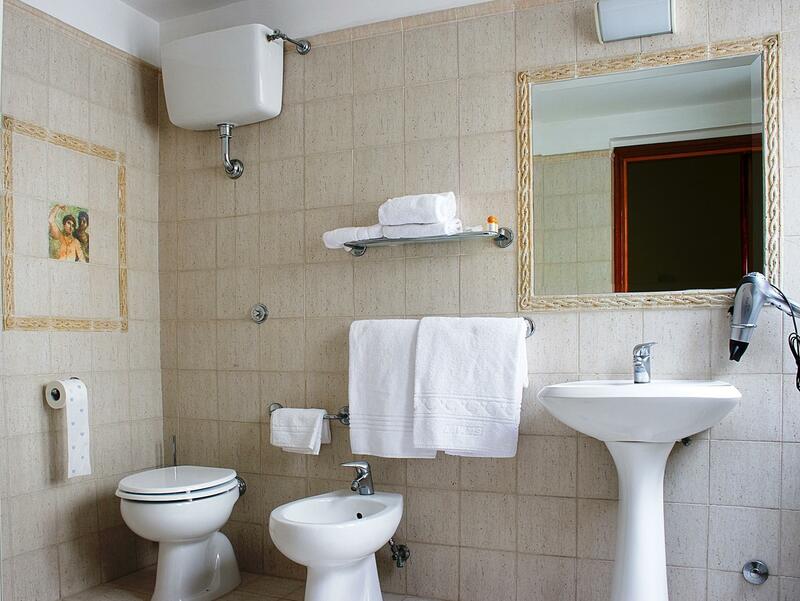 Also keep in mind that you have to pay in cash an extra 6 euros per day "city tax" for your room upon checkout. Other then this I had a beautiful stay in Rome and would stay again! Location: We stayed here with 3 people in June. The location was great since the hotel was located in a center point where it was walking distance to everything in every direction. The Colloseum in 10mins, the trevi fountain and pantheon in 10mins, Republica in 5 mins, spanish steps in 15mins, and many more other monuments in a few minutes walking distance! This was awesome since we loved walking around Rome seeing all the beautiful buildings, stoping by cafes, and shops. There are metro stations within a 5mins walking distance that are also convenient for getting to the Vatican (though it's walkable too.) Hotel: We booked a room for 3 people with 1 double and 1single! It was a great set up since we got a room where the single was a bit separated to give my brother some space in the room! Our room also came with a balcony, and a large bathroom. There was an extra bathroom outside in the hotel hall so when someone was occupying the shower it was convenient to get ready to leave for a tour. Internet: Was fast enough and worked well for booking tours and emailing. Breakfast: Buffet style with cold cuts, fruit, pastries, and tea and coffee. Staff: Very informative. They provide a map and show you the location of every monument and how to get there, when you first check in to better understand the area! Thank you! Overall, location was perfect for our short stay since we wanted to see everything! 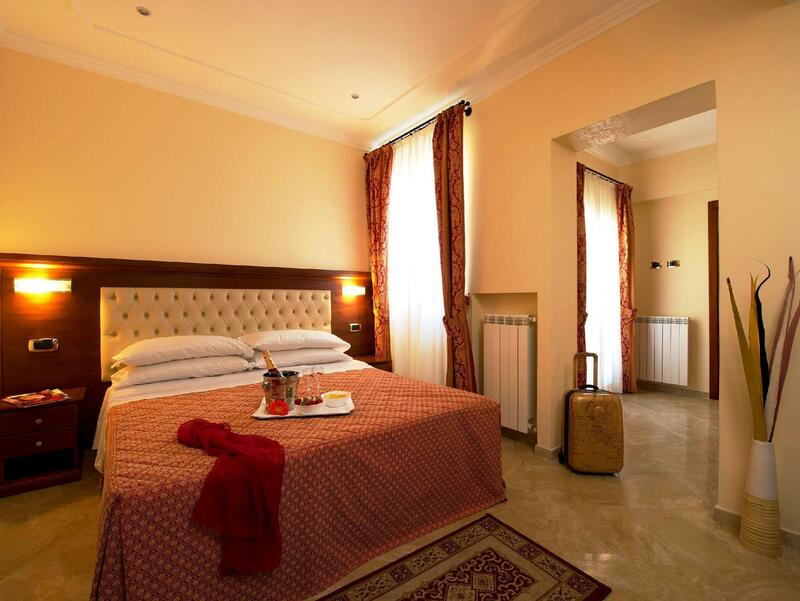 As long as you don't mind walking (which is what you do in rome) it's a great deal for a nice spacious room!!! There is even an international souvenir super market right next door with better prices (compared to near the Colosseum) too for last minute souvenir shopping that came in use!! Thanks again Espisizione! Hotel Location is very importation if you are travel with No. 11 Bus. (your legs) This hotel provide lift service. so you don't need carry a ton of luggages up to 6 floors. Room is clean and comfort. With you such high price, this hotel dont provide breakfast!!! comfortable size, nice bathroom, friendly reception. As a solo traveller but wanting accommodation of a slightly better comfort level than a hostel, this hotel was ideal. 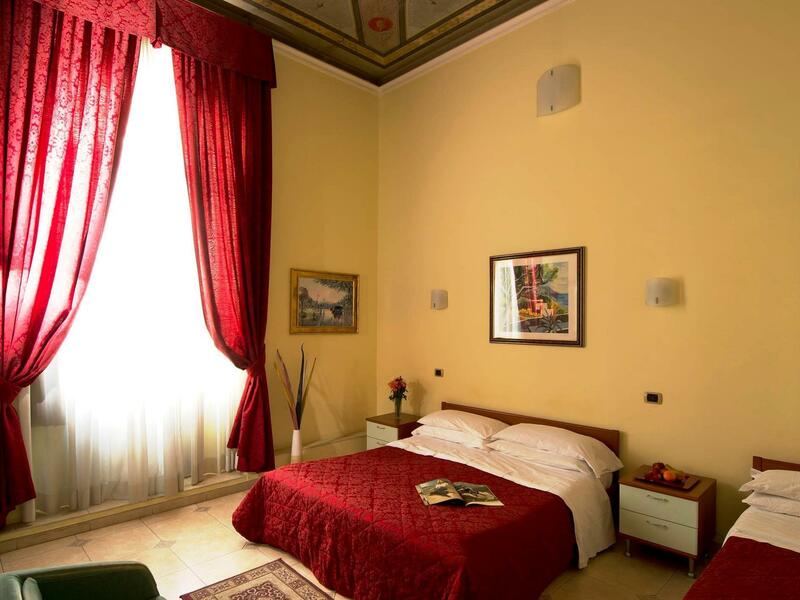 It was well located, easy to get to and from the metro stop as well as Termini station. 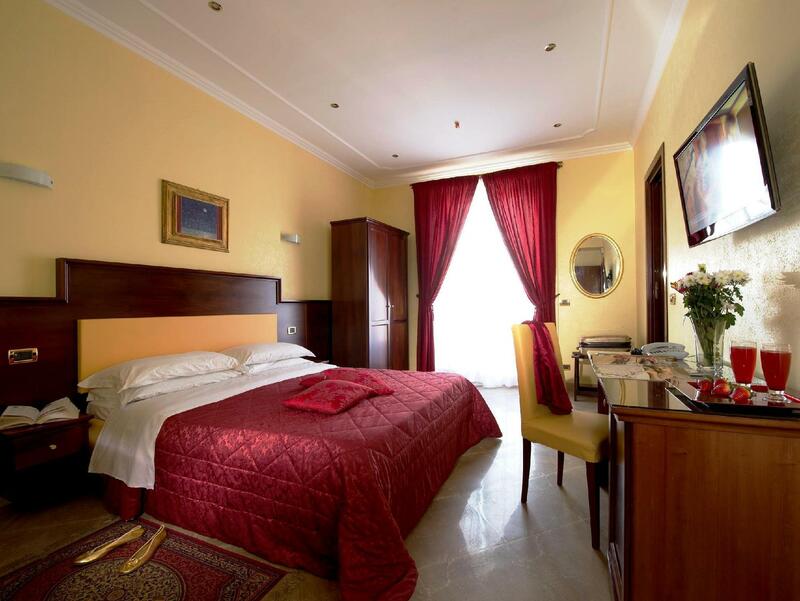 Walking distance to the Colosseum, Trevi Fountain and many other landmarks. Has lift access to the hotel floor and is easy to find. This hotel was clean and had okay facilities, however the communication from the hotel wasn't great. We never heard any response each time we contacted them which is nerve racking when you are travelling and want to make sure you have somewhere to sleep that night. Wifi was OK. Bed was OK, however pillows were very flat. Location was OK, we were only there for one night so we didn't explore much, but I feel as though the area is a bit separated from the busy night life areas. We arrived at the hotel with our children in the evening but the hotel did not provide us a room. They informed us that a part of the hotel is in renovation and they don't have free rooms, even we paid for it in advance. They proposed to move us into another hotel, but we didn't accepted because this hotel was awful. They called also the travel agency to cancel the reservation. Finally we agreed to stay one night to the other hotel and comeback to Espozitione hotel after. Next day, the room we received was smaller that the one we paid for. Also the breakfast is not varied, we renounced to eat. I will never comeback to this hotel. The sound in this hotel carries far. I could not get a good nights rest. I could hear my neighbor snoring as if he were sharing my bed. A woman kept knocking on a door until 4am and waking me up each time she did it. I could literally hear reception drop a pen on their counter from my bed. If you need rest in between days of sightseeing, this is not the hiteknfor you. We stayed in two rooms over 3 visits. Two of the three had smoke coming into the room so bad that we had to keep the bathroom door closed. In all 3 rooms the air conditioner was very loud; like a noisy tap running. The walls were very thin and we could hear our neighbours talking at a reasonable volume and watching TV. In the last room the shower was in such disrepair that it literally sprayed water all over the bathroom above. And the water temperature while showering would routinely go from frigid to scalding and back with no warning.